Dear Dentist in Waco, Do Whitening Toothpastes Really Work? There are tons of products out there that claim to provide whiter teeth. Some of them are bleaching kits, others are rinses, and some are simple toothpastes. You already brush your teeth twice a day every day, so why not make the most of your time and effort by choosing a whitening toothpaste? You might wonder, though, if it’s really worth it to buy one of these pastes. Do they actually work? Your dentist in Waco is here to answer this intriguing question. What Is the Theory Behind Whitening Toothpastes? Different toothpastes have different ingredients and different systems for removing stains. However, they all work in basically the same manner. They’re slightly abrasive, which makes it possible for them to battle surface stains. They might also contain small amounts of peroxide or other whitening agents. Many toothpastes do work to whiten teeth — to an extent. They can’t offer dramatic results because they just work on the surface. Furthermore, not all toothpastes provide the same level of whitening power. 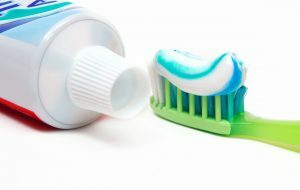 Be sure to do some research and read consumer reviews to find out which toothpastes have a proven track record of success. Also, choose one with the ADA seal of approval so you know it’s good for your oral health. What If Whitening Toothpastes Don’t Work for You? You might have tried different toothpastes in the past, hoping to get that brilliant gleam that you see in TV commercials. However, there are lots of little lifestyle habits that can negate the work of your toothpaste. For example, if you drink a lot of coffee or eat a lot of blueberries, you might be on a whitening treadmill — any progress you make is quickly undone. If you want to see noticeable, dramatic results, toothpaste alone won’t do the trick. Your dentist can help you get the gorgeous gleam you’ve been wanting. Through professional teeth whitening in Wao, whether it’s in the office or via a take-home bleaching kit, your teeth may become several shades whiter in a short period of time. After you undergo a professional whitening treatment, you can get the most out of your smile by working to keep stains at bay. Choose a whitening toothpaste that will fight the effects of everyday activities that could stain your teeth. When you pair the toothpaste with the touch-up kit that your dentist will give you to maintain your smile, your brilliant new look could last for years. Whitening toothpastes can’t work magic. However, they can clean your mouth and remove surface stains. Your smile will be both brilliant and healthy if you use one as part of your comprehensive oral hygiene routine. Dr. Rick Cofer is a Texas native who loves to help his patients achieve beautiful, healthy smiles. He offers professional whitening in additional to a range of other dental services. If you have questions about how to have a set of pearly whites that turns heads, contact our office at 254-732-0309. Comments Off on Dear Dentist in Waco, Do Whitening Toothpastes Really Work?